The envelope on the left is addressed to Mr. John Hewitt, West Winsted from his son, Charles Hewitt, a member of the 7th Regiment, Co. E, stationed at Port Royal in August 1862. Monument and Park dedicated to those brave men who answered the call of their nation. 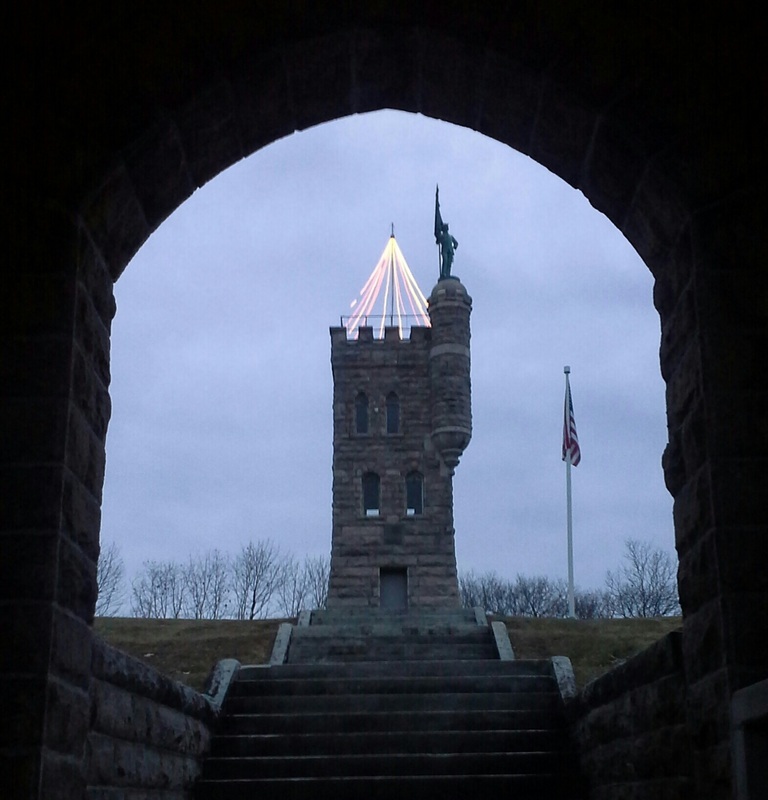 Our tree on the top of the monument will be lit this year shortly after Thanksgiving and will remain lit at night for the duration of the holiday season. back to our web-site often for updates... and....think Spring!